If there’s one thing cats like more than catnip, it’s sprawling across a laptop while you’re trying to work. 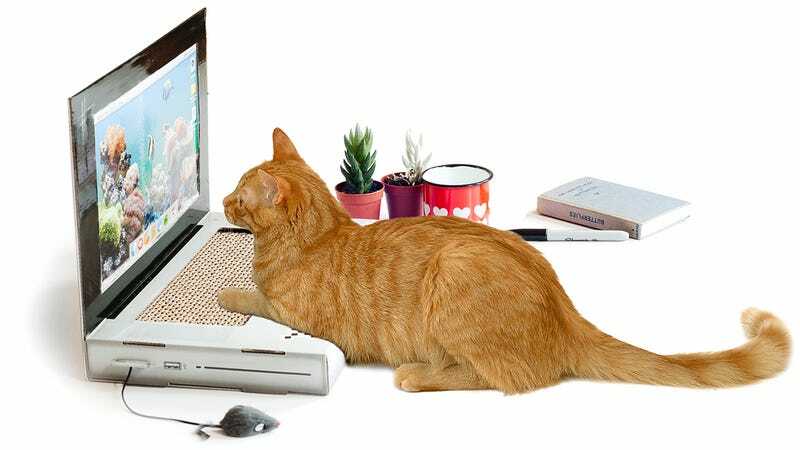 The only solution to the problem is to either trade-up to a dog, or buy your cat a laptop of its own made from scratch-ready cardboard. This model comes pre-adorned with stickers, a high-res display you can swap out with your own photos, and, of course, a tethered mouse. In lieu of keys there’s an exposed section of corrugated cardboard that your cats can use as a scratching surface.